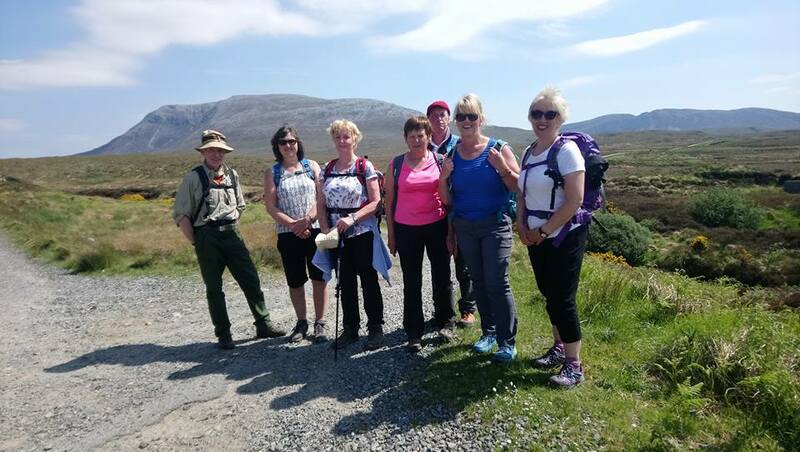 Saturday’s walk is to Errigal (751 m) the tallest peak of the Derryveagh Mountains and the tallest peak in Donegal. Parking at the carpark off the R251 road the route starts by crossing very mucky, wet, boggy land towards a track through scree where the steep ascent over loose rock and scree begins. After reaching the summit you can walk a short but exposed walk along “One Man’s Pass” which leads to the second and lower of the summits, caution is advised. On the descent extra care should be taken due to the loose rock & scree as it can be very slippery. Walking boots, gaiters and walking poles essential. Time including lunch approximately 4 hrs.